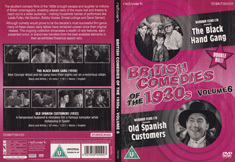 The ebullient comedy films of the 1930s brought escape and laughter to millions of British cinemagoers, enabling veteran stars of the music-hall and theatre to reach out to a wider audience – making household names of performers like Leslie Fuller, Hal Gordon, Bobby Howes, Ernest Lotinga and Gene Gerrard. 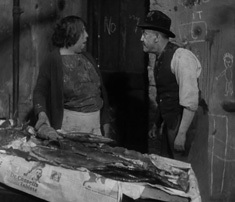 Although comedy would prove to be the decade's most successful film genre, many of these classic early talkies have remained unseen since their original release. This ongoing collection showcases a wealth of rare features, each presented uncut, in brand-new transfers from the best available elements in their as-exhibited theatrical aspect ratio. 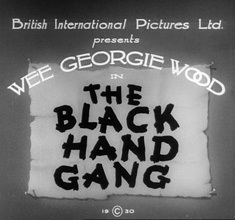 Wee Georgie Wood and his gang have their sights set on a notorious villain. 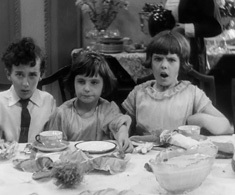 Film Images ©1930 Studiocanal Films Ltd.